Kendov Dvorec is a unique hotel in Slovenia, a member of Relais & Châteaux. The story of Kendov Dvorec goes back to 1377, when the first landowners managed a farm above the Idrijca river valley. In Spodnja Idrija, a village which has developed since 1156 in the shelter of the pilgrimage Church of Mary on the Rock, the magnificent building of the former Kenda homestead has been renovated and revived in the spirit of times past. Discover the tranquil surroundings of Kendov Dvorec, rich heritage and beautiful nature. 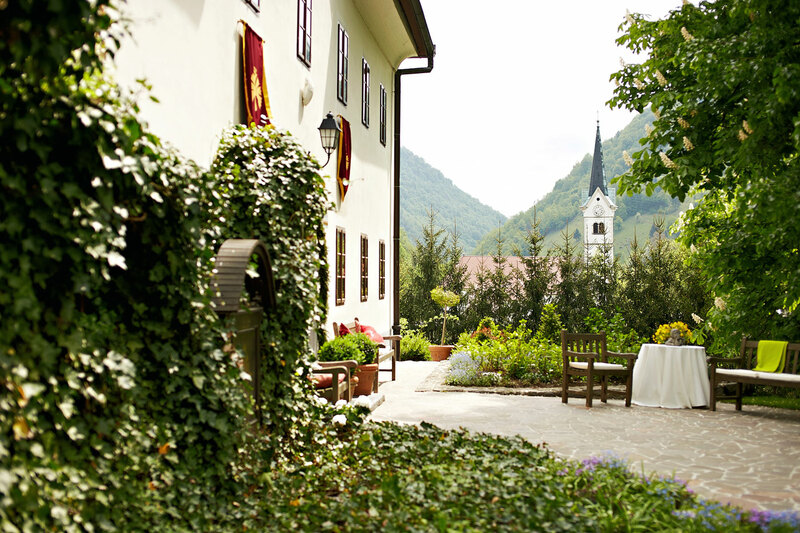 Enjoy a memorable stay in the serene setting of Kendov Dvorec in Spodnja Idrija. Book your Bed and Breakfast stay with our best available rate! Relax in an elegant atmosphere and taste unique authentic dishes from the local area prepared by our chefs. 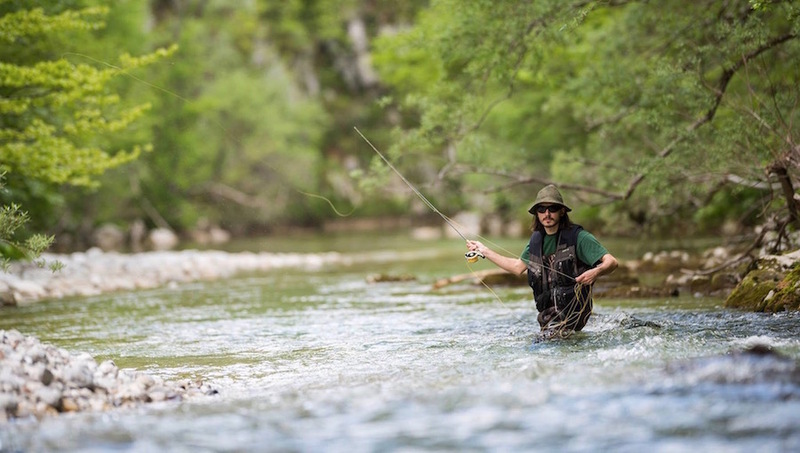 Combine your passion for fly fishing with a relaxing break at Kendov Dvorec, only a stone’s throw from crystal clear rivers Idrijca and Kanomljica. 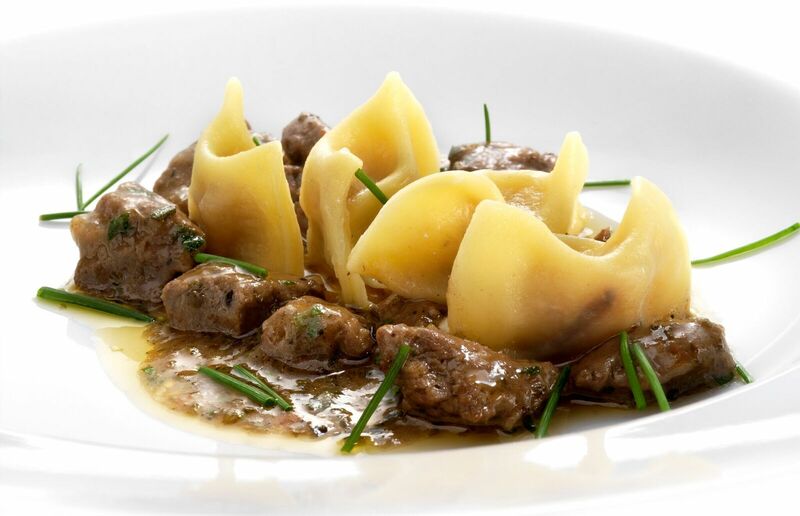 Creative, yet sophisticatedly simple cuisine – pure poetry. Kendov Dvorec’s chefs prepare dishes using traditional authentic recipes, from fresh ingredients sourced from local producers. Our house menus thus change with the seasons of the year. Žlikrofi (stuffed dumplings), bakalca (lamb sauce), bati (cooked bread), ajmoht (meat stew) and štruklji (rolled dumplings) are the specialities of the rediscovered local cuisine that reflects a centuries-old tradition and cooking skills of Idrija housewives. Natural with natural, excellent with excellent. 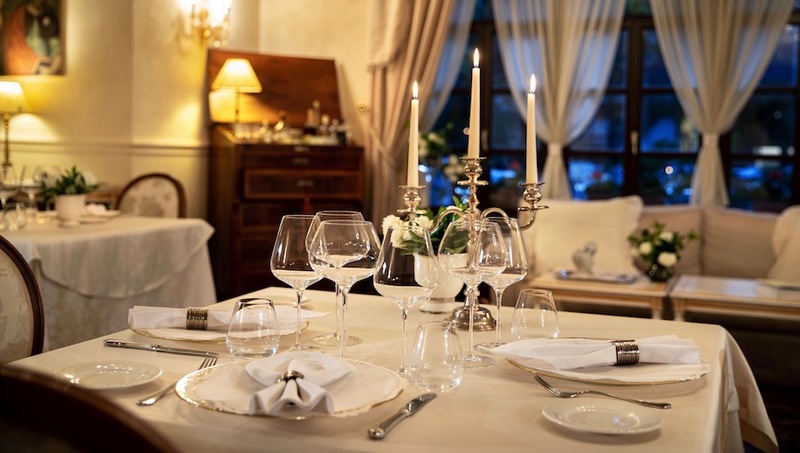 At Kendov Dvorec great care is dedicated to the excellence and simplicity of tastes of house dishes that are perfectly complemented by premium wines of winegrowers from the Primorska region. It is a real feast for all the senses to taste the selected wines from Kendov Dvorec’s wine cellar, guided by our house sommelier or wine grower. 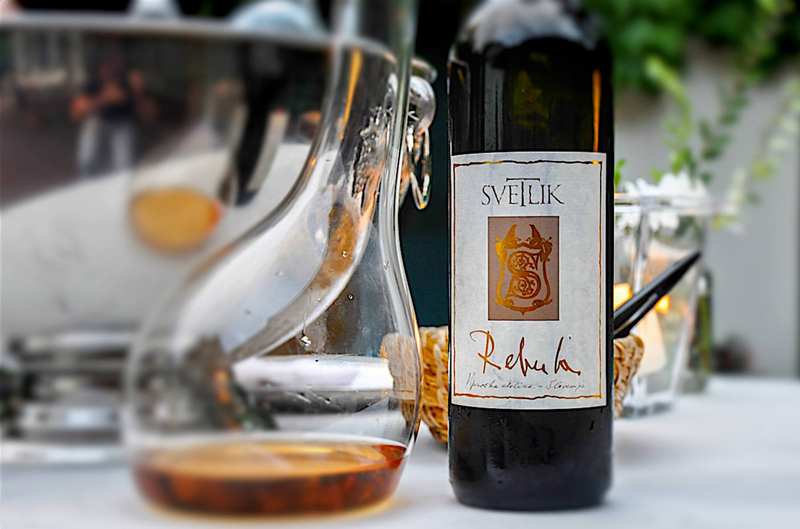 Among them a special place is dedicated to Rebula Svetlik, premium white macerated wine from the Vipava Valley. We were transported back in time with the comfort of modern day resources. A relaxing atmosphere to enjoy new experiences. Like a fairytale castle! Fantastic food! Loved the place. Lovely setting and very attentive staff. Wonderful meals. A lovely historic hotel in an interesting part of Slovenia. The staff made us feel welcome in every possible way. The experience at the restaurant was exceptional and we much appreciated the wine tasting with each course of dinner (5C gift). It was the best 5C package we have experienced in nearly 40 Relais & Châteaux properties. We also valued meeting the chef. Great suggestions on local activities to experience. Overall outstanding. Bravo. What a fantastic place! Peaceful, pristine, like God’s own country. Thankful that there are such great places on earth. Great service, hospitality and food! One of the best hotels we have ever stayed in, especially in terms of warmth, charm, service and food. Sublime local character expressed in each of the dozen or so dishes we had during our stay. Staff were fabulous and the decor charming and evocative of the best about Slovenia. Very warm welcome, attentive staff and great cuisine! The service was exquisite, the food delicious and the views even better. 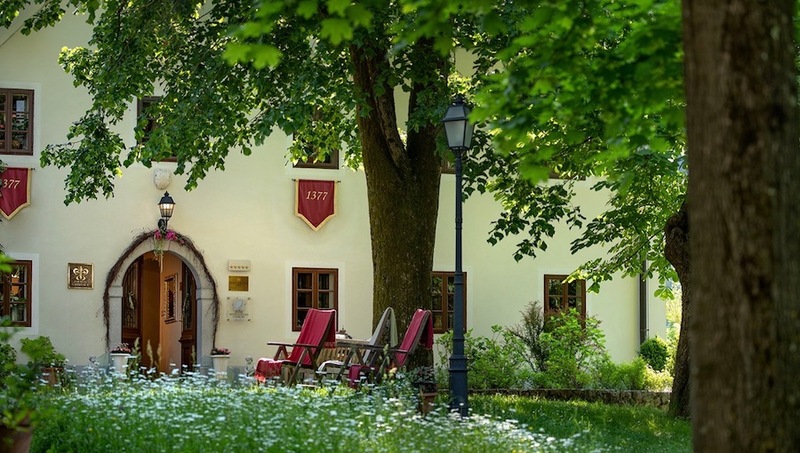 If you’re looking for an authentic Slovenia stay with a little luxury and beautiful scenery – you really won’t find better than Kendov Dvorec. I can’t wait to return someday. Quality and a charming atmosphere, sometimes giving you the impression of being twenty years back in time, which in this case is certainly not a bad thing. Lovely stay, wonderful diner and breakfast, very friendly staff. The staff was absolutely wonderful, they even offered us a cake as it was my partner’s birthday! Hotel is beautiful, and the food at the restaurant was delicious. When my husband and I seek humanity in relations, authenticity and heartiness, when we seek that attitude to nature, to everything animate and inanimate, we look for Kendov dvorec. We love to invite here all those people that mean something to us. And, here, we remember time and again, how beautiful life is. But what counts the most is the staff of the manor. Unbeatable in Slovenia. Our compliments! You feel here at home, better than your own. Staff, environment, food, castles, activities, everything. Quality is superb! Proximity to everything makes it the perfect choice to see the whole Slovenia while being in an excellent hotel. The site is beautiful, the food is wonderful: refined, with many local specialities. Serene atmosphere gives you a feeling of real relaxation and of being at home. We hope to come back to feel this unique atmosphere again.